Can be forced in GPU control panel. Can be forced, but on AMD cards, supersampling must be used or various objects will not render (wheels, leaves, fences, driver, etc.). Disable Motion Blur. For XInput controllers see [here]. Basically applies full controller support for DS4. Should also work for other controllers. Steam is required. 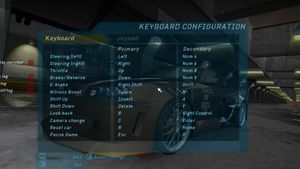 Download Jodeth's DS4 config for NFSU. If you have installed the game on another hard drive you can modify the path Little-scripts-NFS.bat. 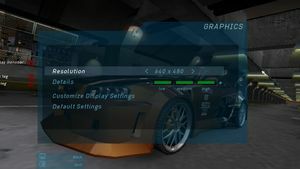 4 Use NFS U LAN Mod. 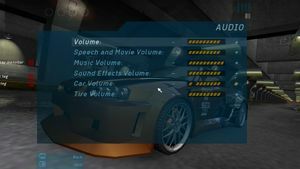 Use NFS U LAN Mod (Windows and Linux). This problem occures because both games use the same name for their main executables (speed.exe). After installing one game and attempting to install the other, its autorun program assumes it's already been installed. Install the first game. 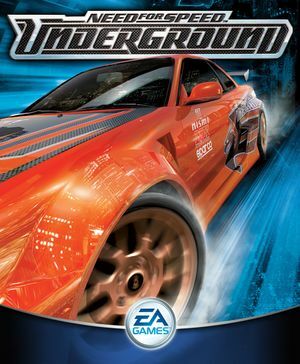 It doesn't matter whether it's Underground or Most Wanted. Change the name of speed.exe to anything else. Restore the original name of the first game's speed.exe. 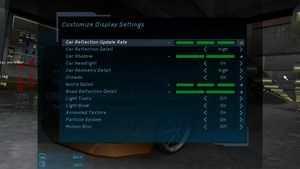 Deadzone can be adjusted in NFSUnderground.WidescreenFix.ini. Copying proper .exe for EU or US version should enough . Although patcher also extracts filter.efx (possibly NOS black screen effect fix) to the patch exe folder if proper game binary or registry entry is not found. Widescreen patch compatibility not tested. If all above fail, reinstall the game, and use e.g. 1.0 version (afterwards, replacing exe and filter.efx should enough). The problem can happen e.g. after Samantha Time Trial 2:07 (hard), on 1.4 binary version, and is gone on 1.3.4. This page was last edited on 28 February 2019, at 05:14.